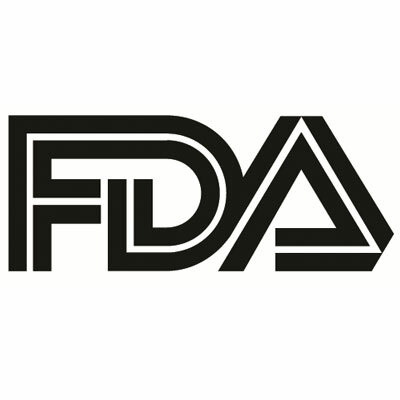 The US Food and Drug Administration (FDA) has approved solriamfetol (Sunosi), the first dual-acting dopamine and norepinephrine reuptake inhibitor (DNRI) approved to treat excessive daytime sleepiness in adults with narcolepsy or obstructive sleep apnea (OSA). The once-daily drug from Jazz Pharmaceuticals is approved with doses of 75 mg and 150 mg for patients with narcolepsy and doses of 37.5 mg, 75 mg, and 150 mg for patients with OSA. Approval of solriamfetol is based on data from the Treatment of Obstructive sleep apnea and Narcolepsy Excessive Sleepiness (Tones) phase 3 clinical program, which included 4 randomized placebo-controlled studies that demonstrated the superiority of the drug relative to placebo. Sunosi was evaluated in more than 900 adults with excessive daytime sleepiness associated with narcolepsy or OSA and was shown to maintain its effect relative to place after 6 months of use. In 12 week clinical studies, approximately 68-74% of patients taking a 75 mg dose of solriamfetol and 78-90% of patients taking the 150 mg dose reported improvement in their overall condition, as assessed by the Patient Global Impression of Change scale. Additionally, at week 12, narcolepsy patients taking 150 mg and all OSA patients on the therapy demonstrated improvements in wakefulness compared to placebo as assessed in test session 1 (approximately 1 hour post-dose) through 5 (approximately 9 hours post-dose) of the maintenance of wakefulness test. The most common adverse effects, occurring at a rate of 5% or greater and higher than placebo, reported in OSA and narcolepsy study populations were headache, nasusea, decreased appetite and anxiety. Serious side effects include increased blood pressure and heart rate, as well as insomnia, irritability, and agitation. Patients who are taking or have stopped taking a monoamine oxidase inhibitor (MAOI) to treat depression within the past 14 days should not take solriamfetol. Jazz Pharmaceuticals expects solriamfetol to be commercially available in the US following the final scheduling decision by the US Drug Enforcement Administration, which is typically within 90 days of FDA approval. “With this approval, a new, daytime medicine that can provide sustained wakefulness throughout the day will be available for patients," said Bruce Cozadd, chairman and chief executive officer of Jazz Pharmaceuticals. "The FDA approval of Sunosi also represents an important milestone for Jazz as we continue to offer new treatment options that address unmet needs for people living with chronic, and often debilitating, sleep disorders." Although the exact mechanism of action is unknown, the effects of solriamfetol are thought to be mediated through its activity as a DNRI. Sunosi is not indicated to treat the underlying airway obstruction in OSA. "Sunosi is an effective treatment option with a novel mechanism of action as a dual-acting dopamine and norepinephrine reuptake inhibitor," said Richard K. Bogan, MD, FCCP, FAASM, associate clinical professor at the University of South Carolina School of Medicine and Chief Medical Officer at SleepMed in Columbia, SC.